100 days ago he was nothing, no… he was a bit of wind and plains trapped temporarily in horsehide. The BLM ( Bureau of Land Management) round up, brought him in and he was put with a shipment headed east to TN. There he ran through chutes and into the waiting trailer of trainer Geoff Goodson and a second journey, this time to Connecticut. Now his 100 days are up and he is off again. This trip is to Clemson, SC. and the Extreme Mustang Makeover. 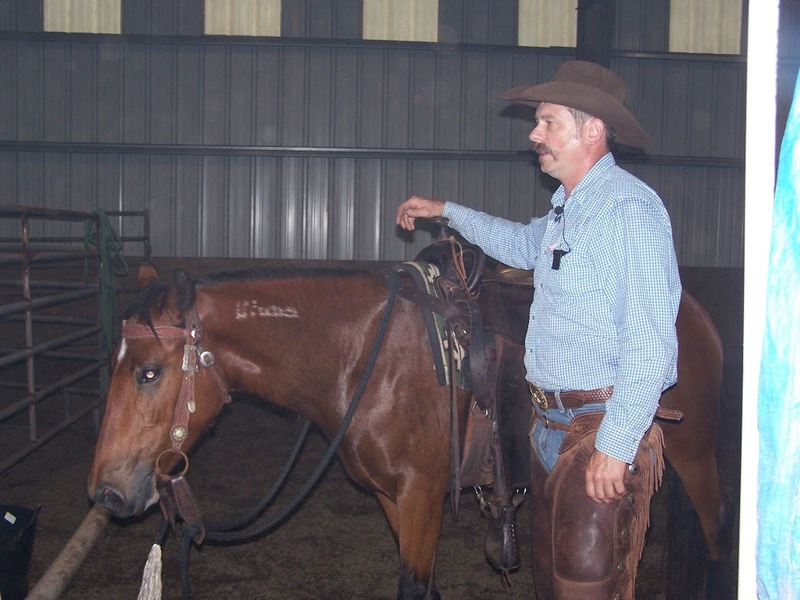 The competition of horse trainers and Mustang horses is a unique look at the incredible intelligence, compatibility, and flexibility of the Mustang. Compulsories are the useful and safety oriented skills of a good equine citizen. Expectations are high and all the Mustangs need to exhibit a strong foundation before moving on to the freestyle. Freestyle, an event to measure how much trust and training can be developed in a 100 day program of foundation building. Lil Joe Wrangler was a star pupil. His work sessions were kept short to accommodate his young age and physical development. He became a go everywhere, do everything horse. Lil Joe developed a fan club, he has a big heart and a personality the size of the open plains. Before leaving for Clemson and the big weekend long competition Geoff Goodson and Lil Joe Wrangler put on a public demonstration here at Round Stone Farm in East Hampton CT. Here is a video compilation from the Mustang Demonstration with CT. Horse trainer Geoff Goodson. Best of Luck to Geoff Goodson and Lil Joe Wrangler in the Extreme Mustang Makeover.